The short answer is yes! So many people believe that a rifle isn’t appropriate for home defense. The real answer is it just isn’t that cut and dry. The 5.56 mm or .223 round actually penetrates about as much or less than common pistol calibers. The AR-15 is easier to shoot under stress than a pistol. With a pistol, the shooter has less control over the weapon. With a rifle, the shooter has more control over the weapon. Similar to number 2, an AR-15 is easier to be accurate with. The big one for me is the fact that an AR-15 is easier to shoot faster than a pistol. This is especially true up close! 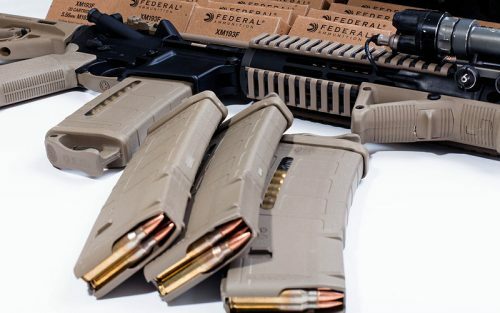 Another big reason to go for an AR-15 over a pistol is the higher magazine capacity. An AR-15 will defeat soft body armor while more pistol rounds will not. There are plenty “novelty” rounds out there that move fast enough to defeat soft armor but they don’t do as much damage to the person under the armor as a 5.56 or .223 round does. Overall the AR-15 will penetrate walls the same or less than a pistol, defeat body armor when a pistol will not, is easier to shoot, faster to shoot and has more ammo. If you prefer the AK platform then an AK-74 is another good choice. The ballistics are very close to the AR-15 (by design) so everything above still applies. Just make sure you don’t use any of the .30 caliber rifles out there. Any .308 or 7.62mm (AK-47) is really going to over penetrate! Only use these if they’re your only option or you live out in the middle of nowhere. Even then you’ll need to be especially sure that there is nothing behind your target that you may accidentally hit. They are VERY loud indoors. In the few situations when I’ve had to fire an M-4 indoors, they left my head ringing afterward. 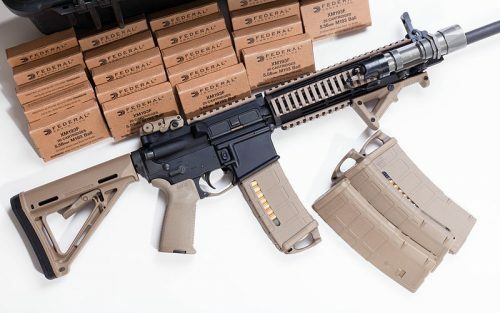 Accessories on AR-15s can be a debate that goes on and on and that isn’t the focus of this article. I’m just going to cover what I consider to be the minimum that you need for a home defense rifle. First, a good light is a must. I really like the Surefire M300C. It has a simple on/off switch that you can actuate with your thumb and is really bright. The next thing is iron sights. I normally have a fixed front sight and a pop up rear sight. 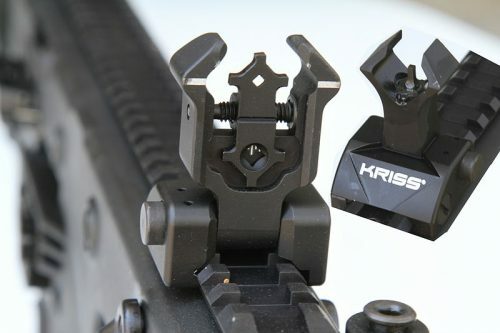 The rear sight can be anything that attaches firmly and holds zero. I like built-to-last gear so I normally choose something along the lines of a Troy Industries Folding Battle Sight. I like to put a red dot on all of my rifles that are going to be used for up-close work. I’ve always used Aimpoints and I still use them. 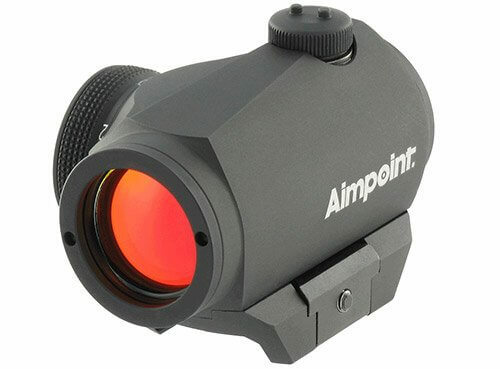 For overall longevity and durability, the Aimpoint H-1 is my current favorite. Unless you need to use night vision, you can’t go wrong with it. I’ve heard the Trijicon MRO is a great optic but I haven’t been able to get my hands on one yet to say if they are. If they’re even half as good as an ACOG then I bet they’re great. You can get a decent red dot for around $200 but my experience with them has been hit or miss. I’ve used some that were great and I’ve had some that would turn off after two rounds. Just be sure that whatever you choose functions well before you trust it with your life. The last part of the equation is ammo. Honestly, you can use anything and you’ll be effective. It doesn’t have to be expensive to do what it needs to do, especially at close range. With that being said, I like 77-grain bullets because they’re more effective against soft targets than other types of 5.56 rounds. If you’re interested in finding similar rounds, you can just google 77-grain open tip match or 77 gr OTM. At close range you don’t need the accuracy that they’re known for, you’re looking for their ballistics against soft targets. There are a lot of people out there that don’t believe an AR-15 should be used as a home defense weapon. They’re worried about overpenetration and who knows what else. If you’re still worried about these things I’d urge you to seek out the FBI tests that prove that an AR-15 is perfectly suited as a home defense rifle. Did you find this article helpful? Let us know in the comments if you use an AR-15 for home defense .